How come your prices are so much lower than everywhere else? Well, as you can see, we are simply an online company and as such we do not have the massive expense of showrooms, rent, lighting, staff etc. These are huge cost savings for us and ones we are happy to share with you our valued customers. What about delivery and help with assembling our new bed? We offer free delivery as part of the service as we want you our customer to get the best value and best service experience in the industry and the very best out of your new adjustable bed. Free delivery service on all electric beds with fully trained & equipped 2 man delivery crew. (Excluding all flat packed leather, fabric & wooden bed models). The delivery people will take the bed to your choice of room. They will un-pack the goods & remove the packaging if requested. The bed comes pre-assembled already. All that is required is the castors need fitting & the plug needs inserting then the mattress to be put on top. They will also do this if requested at the same time. The electric leather, fabric & wooden beds come flat packed in 3 or 4 boxes which are not necessarily UK made. These beds we do not assemble but it is only light assembly, the instructions are included. The beds also come with 2 x electric mechanism systems with motors & deluxe 6 button handsets (for 5ft & 6ft models only) which are pre-assembled already for you. What sort of guarantee do you give? All our products come with a 12 month guarantee which offers you total peace of mind for faulty workmanship, handset & motor. The foot-end retention bar is included free with all models of electric bed. The bed lifts both at the headend & foot-end as illustrated on the pictures & comes with a 5 fold electronic mechanism offering a complete of comfort setting via the 6 button deluxe handset. It flexes to support the five key area: knees; hips; back; neck and head. Ok, well you first need to understand that your Adjustable Bed comes as 2 separate components, the base and the mattress. 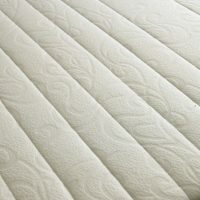 However, to keep it easier for you we recommend you take a look at our most popular model the Prestige Ambience right here as it combines the 5 fold adjustable base with the supremely comfortable pocket sprung mattress. View the pocket Sprung Bed range. The Prestige Ambience is our most popular model for very good reason and it comes in a range of widths and options to suit most people. Help – I have no idea which bed to choose! No problem, simply go to our Special Offers page and find out which are our most popular beds. Take a close look at the Prestige Ambience and see the range of options available to you . This is our most popular model for very good reason. Ok, so which mattress option is going to be the best for me? 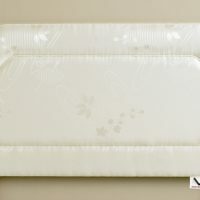 That’s a really good question that calls for a really good answer and this blog page on adjustable mattresses may just help. However, if you take a look at our best sellers you will see that we have already suggested one of our superb mattresses for you and by using the drop down menu when ordering the bed you can see all the mattress options available for the base you have chosen. Can I also have an inbuilt massage system added to my bed please? The 5 point massage system which is pre-installed in the mattress is an additional £175.00 per mattress which comes with an additional handset for speed & density settings. The massage system is only for foam mattresses not the pocket spring model. Is there a maximum weight limit that these beds can take? The maximum weight on the standard motor supplied is 18 stones. We offer a heavy duty motor for an additional price of £95.00 each with a weight limit of 22 stones. This is pre-attached for you onto your electric mechanism which also comes with a deluxe 6 button handset. How will an Adjustable Bed support me better than my ‘normal flat’ bed? This is the 60 million dollar question and it is one we are delighted to answer for you. You see the difference between an adjustable bed and your ‘normal bed’ is that the adjustable bed adjusts to you in the 5 key areas; That is the Head, Neck, Back, Hips and Knees. You can set the mattress to an almost unlimited number of settings to tailor make your own sleep experience. So this means that if you suffer from any conditions such as arthritis, aches and pains, Hiatus Hernia, Acid Reflux, Snoring, Oedema …… the list is endless but I am sure you are getting the general idea. You actually set the settings that are just right for you to give you the level of comfort and support you need in order to get the most supportive and comfortable night’s sleep in the world. How can an Adjustable Bed make getting into and out of bed any easier? Well, there are a couple of ways an adjustable bed makes getting into and out of bed easier. The main one is that being adjustable you can set it so that the head is raised and that your upper back and shoulders and head are all supported whilst you lift your legs up and on or off the bed – you do not need to worry about falling down or indeed getting back up to get out of bed. Simply raise the back of the bed to whatever level suits you to support your back. With some medical problems we know the position you sleep in can either exacerbate or improve your symptoms – How Can An Adjustable Bed Help Me? This truly is where the adjustable bed makes a big difference because if you have ever suffered from Oedema or maybe even have a Hiatus Hernia or Gastric Reflux you will know how difficult it is to get comfortable for a good night’s sleep. The beauty of the 5 fold adjustable frame is that if you need your legs elevating whilst in bed then you can do just that. If you need your head, neck and shoulders elevating then you can do just that. The range of settings is almost endless to ensure that you get the best night’s sleep possible. Although the beds do not come with a headboard as standard take a look at our range of headboards and order one with your bed.